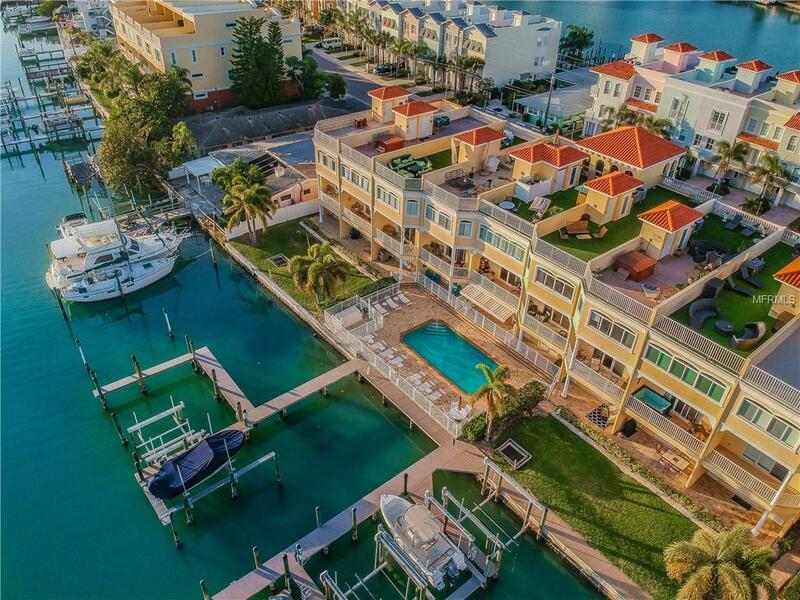 Extraordinary Waterfront Residence! 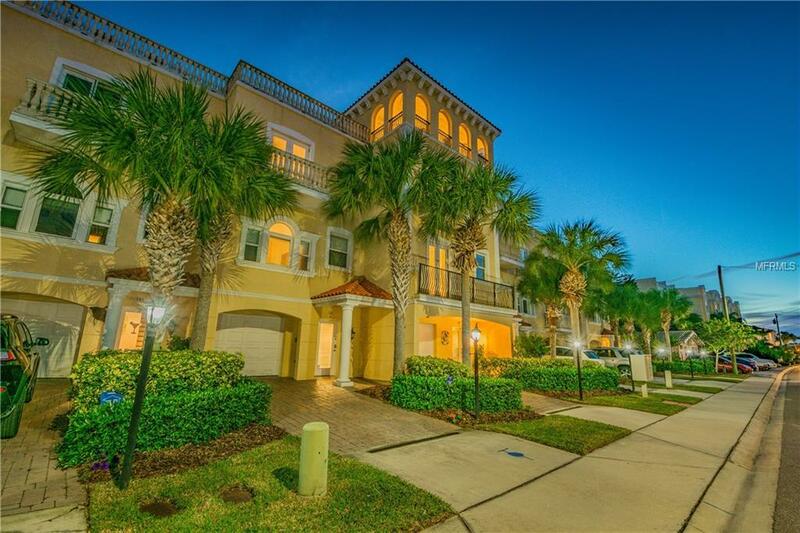 This beautiful four-story townhouse is walking distance from the white sands of Clearwater Beach, located directly on the turquoise blue Intracoastal Waterway. This spacious three-bedroom, three-bathroom home is a beach lovers and boat lovers dream, as it showcases a premium deeded boat slip just steps away from the back patio. The incredible sunset and Southern exposure water views from the rooftop terrace, great room balcony, and pool deck veranda are breathtaking. 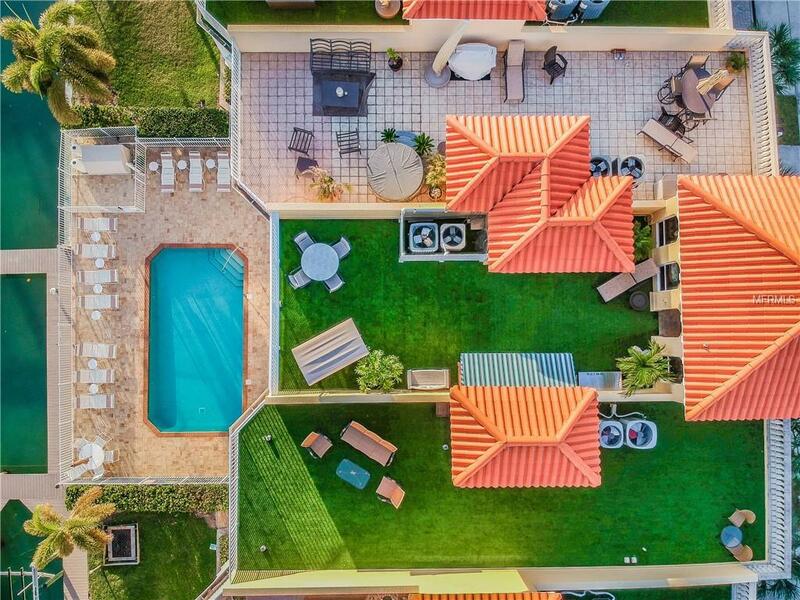 The expansive and spacious rooftop terrace is lushly blanketed with top grade artificial grass that adds to the relaxed setting and panoramic views of the Gulf, the beaches and the islands cityscape. The updated kitchen has exotic Macassar Ebony wood cabinets, premium stainless steel appliances and raised breakfast bar overlooking the main living area and rear balcony. Interior features include a private elevator for convenience, all bedrooms boast en-suite bathrooms, numerous walk-in closets, and a spiral staircase leading to the rooftop terrace. Other features include an oversized two car garage with storage space, new roof, HVAC unit, master bedroom windows, and rooftop door widow, all helping with energy efficiency. 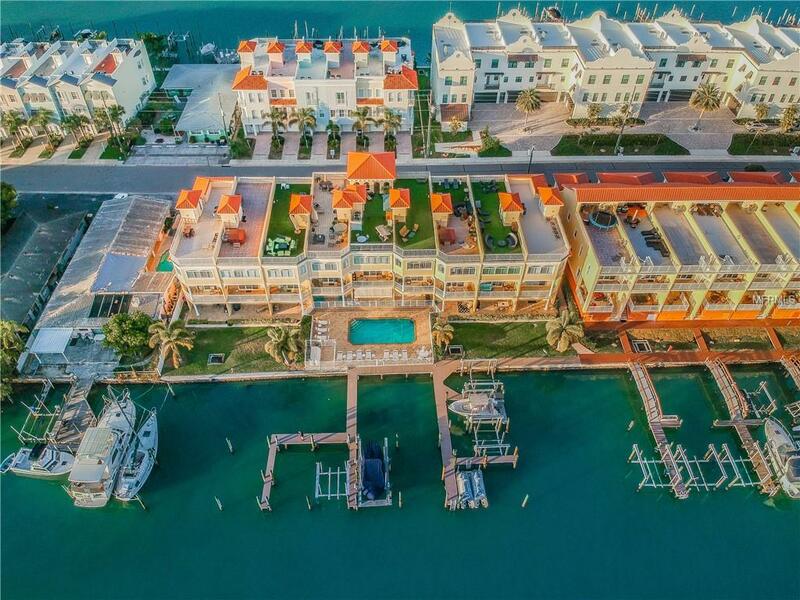 Paradise Cove is a deed-restricted community showcasing just nine total townhomes, of which are board-approved to rent on a weekly basis offering a lucrative investment year-round, all located within close proximity to Clearwater Beach which was rated the top beach in the US in 2018.